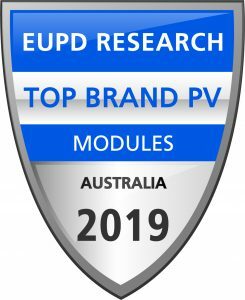 Shanghai, January 28, 2019 – JinkoSolar Holding Co., Ltd. (the “Company,” or “JinkoSolar”) (NYSE: JKS), a reputable solar module manufacturer in the world, today announced that it was awarded the “Top Brand PV Europe Seal 2019” award by EuPD Research for the first time in its corporate history. EuPD Research awards The Top Brand PV award based on results from the Global PV Installer Monitor Survey of installers in various countries in Europe and select additional markets around the globe. Solar PV installers in some of the most important European markets including Germany, Austria, Belgium and the Netherlands participated in the survey where JinkoSolar was identified for its exceptional products and service quality. JinkoSolar also won a “Top Brand PV Seal” for the second consecutive year in Australia. “We are very pleased to see JinkoSolar receive the Europe Top Brand award this year which is further evidence that our strategy to position Jinko as the leading module supplier in the European distribution market is generating strong results. JinkoSolar’s broad product portfolio, high-quality service and product are why we have steadily grown our client base. We remain confident in our strategy to further strengthen JinkoSolar’s position in Europe in both the distribution and project market.” JinkoSolar General Manager – Europe, Frank Niendorf commented.